Youth Art Month is observed each March to emphasize the value of art education for all children and to encourage support for quality art programs in schools. Members of the Missouri Art Education Association may submit up to four pieces of artwork to the MAEA (Youth Art Month Exhibit) held at the State Capitol in Jefferson City. Glenwood art teacher Dawn King submitted 4 pieces of her students’ artwork. It is quite an honor to be selected for this exhibit. These students represent the excellence of visual art education statewide and showcase visual art programs throughout Missouri’s schools. The 2018 YAM Capitol Exhibit opened February 20 and will run through Tuesday, March 20th on the third floor Rotunda area of the Capitol building. The exhibit may be viewed during the Capitol’s daily hours of 8am – 5pm. Youth Art Month Capitol Exhibit Awards and Recognition Ceremony will be held on Monday, March 12, 2018. The ceremony will begin at 11:00 a.m. on the first floor Rotunda area of the Capitol building. 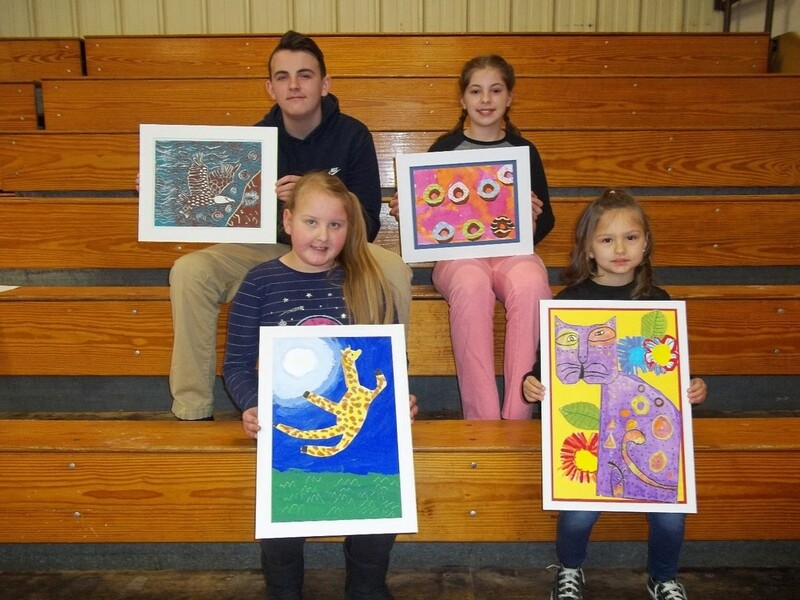 Photo includes Glenwood Students with their submitted artwork.